I'm not huge on writing recap posts. Mainly because I feel like what I've been up to is zzzz. I mean, we can't all be queen of the recap like Jamie, am I right?! But some really cool ish has gone down in the last week that is TOTALLY WORTHY of being shared. So share it, I am! BOOKS! YES BOOKS! 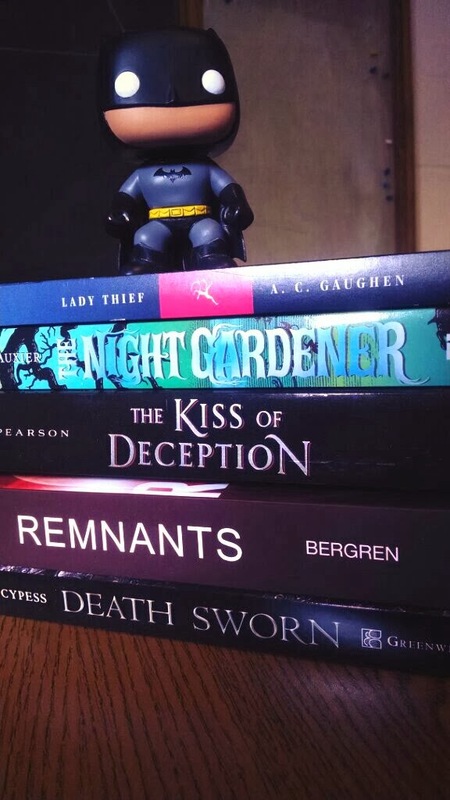 Special, super rad, gorgeous ARCs to be exact. Thanks to Gaby and her ALAMW ninja skills, I have a new little slew of ARCs to stare at and drool over and whatever you get it. Here's why I'm excited for these different little friends. Lady Thief by A. C. Gaughen. This one is obvious! It's the sequel to SCARLET which I adored! The Night Gardener by Jonathan Auxier. I have PETER NIMBLE AND HIS FANTASTIC EYES which I liked but didn't love at the time. I am certain it was right book, wrong time, and now with this little companion to the story in my hot little hands, I'm ready to give it another go! The Kiss of Deception by Mary E. Pearson. Jilted princes and assassins? Love and sacrifice? Princess on the run? Seriously! Season of Wonder (The Remnants #1) by Lisa Bergren. I've heard nothing but praise for Bergren's writing and this futuristic dystopian sounds like it has enough science fiction in it to be a fresh take on the dystopian scene and I am all about that situation. Death Sworn by Leah Cypress. Magic! Assassins! Tutors! Oh you guys. You know me well enough to know by now my heart is racing and my eyes are all O_O with this one. I also won a copy of Also Known As by Robin Benway from The Page Sage, so that was pretty rad! I adored Audrey, Wait! way back when and I'm excited to get back into Benway's writing. So I saw Patrick Ness was going to be in Minneapolis on a tour for THE CRANE WIFE. I think my initial reaction was something like this. One of my favorite authors of ever was going to be within driving distance! Was 3 hours in the middle of winter a wise choice? Debatable. And debate I did. But thankfully my friends Heidi and Asheley, and my darling husband Andrew, helped me make my decision to go and see him on a Tuesday night when it was below zero. Thank goodness I did, too! 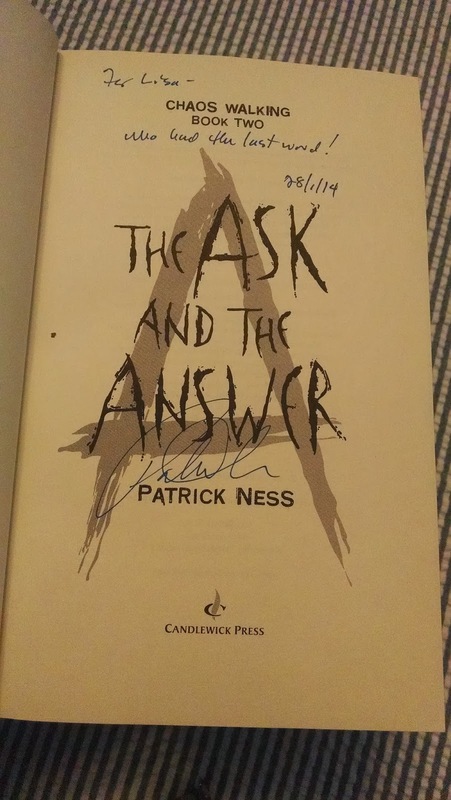 I will not go into the whole author signing and his discussion of THE CRANE WIFE and his answers to The Chaos Walking Trilogy and all the things, but know that Patrick Ness was everything I expected and then some. He is smart, funny, down to earth with a dash of silliness that is absolutely everything. Of course, I took my books for him to sign and this is what he had to say! Since I already had the rest of his works signed, I didn't bring those. I felt pretty full of myself at having a normal conversation with Patrick during the book signing and keeping my fangirl in check! Who knew I had such restraint? Surely not I. My darling friend Eriks went with me to the signing and tried his best to get a picture of us and this was the result. I can't blame him though, because I'm pretty sure my feels caused some sort of atmospheric disturbance that impacted the lens on the camera phone due to their epic intensity. Okay! Thanks for reading this! I hope you feel like this is a way for me to share the exciting news in my bookish life and not a way to flaunt my swag (please reference this Book Rock Betty post if you need more clarification on the difference). I guess the tl;dr version of all of these things is I am blissfully overwhelmed by the awesomeness of the world sometimes. OMG THE WORLD JUST EXPLODED, you and Patrick Ness in the same room! 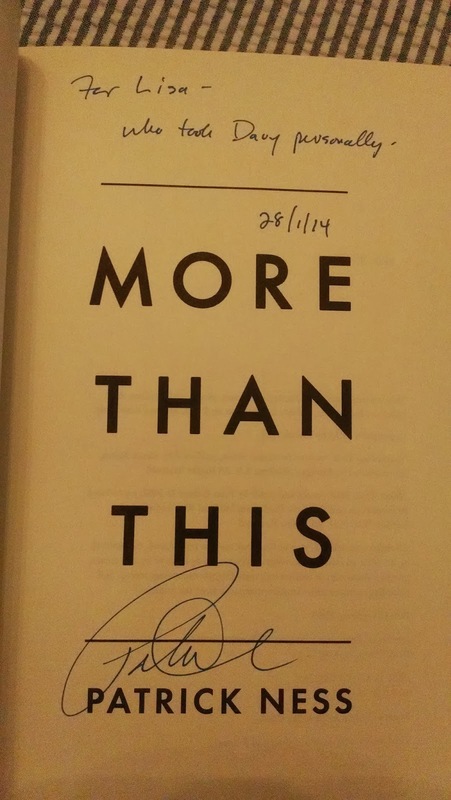 Also, I love all his little signing messages. I still need to read More Than This. I hope you like The Night Gardener better. I KNOW. It blew my mind and heart into a million pieces. OH GIRL PLEASE read Scarlet asap! PLEASE! 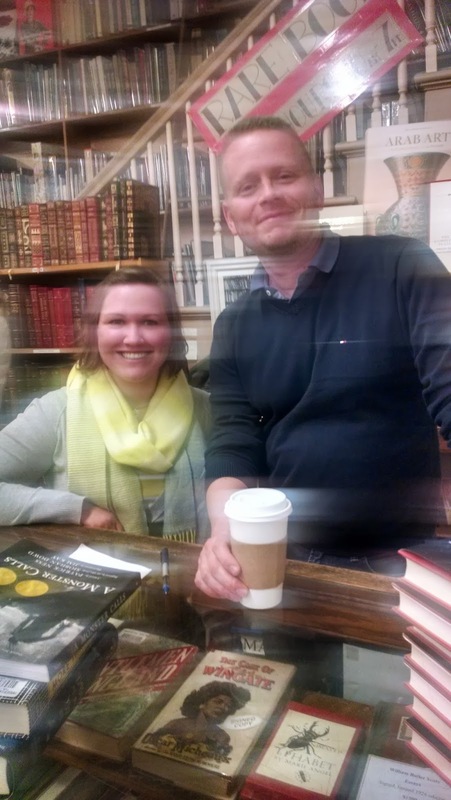 I'm so happy you were able to meet Patrick Ness! It's always a wonderful thing to meet an author you truly admire in person and tell them how much you liked their books. Epic haul too, by the way. I'm especially happy that you won a copy of Also Known As! That book is so fun, as is the companion/sequel Going Rogue. Thank you! Me too! It was a dream come true! THAT IS SO COOL!!!!! I mean that you meant Patrick Ness. 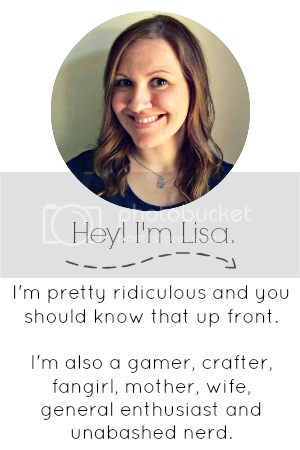 Congrats, lady! Where you on the fangirling inside and the outside?! This still makes me smile :) I love that you got the opportunity to meet one of your favorite authors. I feel that every book lover should have this chance, at least once.. right?! Yay for AKA! :) You are one lucky girl. I hope you like it. I just don't have any words but I was here and I see it all and I am so so so happy and I can't stop staring. Davy! Oh my gosh! Tears. I am not excited for Lady Thief yet because I still need to read Scarlet. I've got to get on that. 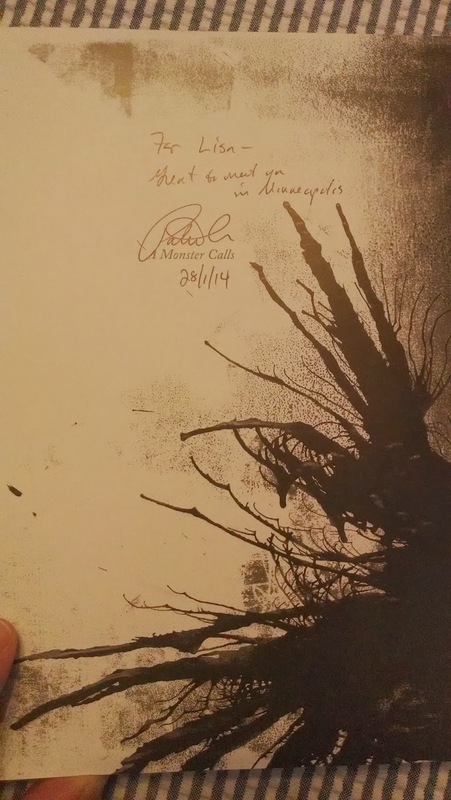 And YAY for meeting Patrick Ness! I'm so excited for you. He is the nicest in person. "my feels caused some sort of atmospheric disturbance" - LOLOLOL I love it!! Oh yeah, it's my birthday. Excuse me while I hyperventilate. In which I get kinda feels heavy.